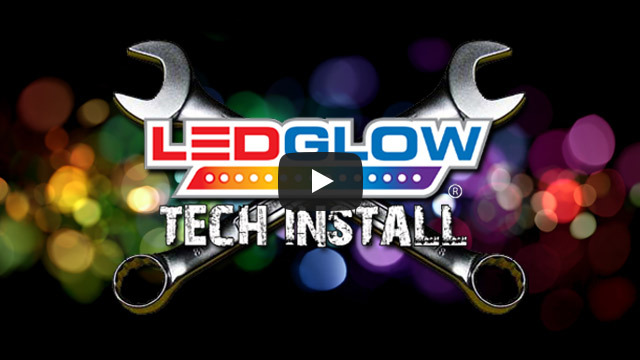 LEDGlow’s Green Wheel Well Light Kit creates a unique green glow to the fender wells of any vehicle using (4) 24” flexible tubes that feature 84 ultra-bright SMD LEDs, a control box and wireless remote. 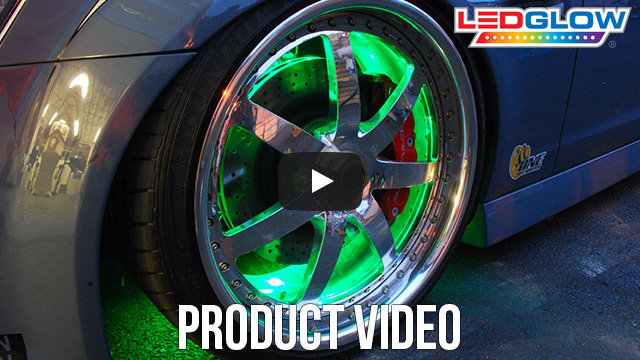 LEDGlow's Green Wheel Well Light Kit features 84 SMD LEDs housed in (4) 24” flexible tubes that are easily mounted above the tire to the fender well to illuminate the wheels or behind the strut to illuminate the rims. The all new wireless remote allows you to select from a collection of modes that include solid color illumination, 3 fade modes, 3 strobe modes and a sound activation mode that reacts to the music playing inside of your vehicle with the built-in microphone. The wireless remote features an operating range of 50’. I purchased these to go on my expedition and it has 26's on it and its a show stopper. Very nice product and will order again. Easy install although I cut out the switch that came with kit and installed a racing toggle. It does as advertised. I am 16 years old with a 1994 V6 Mustang...i've done stereo and other lighting mods to the car. This kit explained everything very simply and was easy to understand. It was however a pain to run the wires from the rear wheels but if you think about it any wheel lights are gonna be difficult to run from the rear wheels...overall this kit looked INCREDIBLE when it was done. It fave the car a whole new look to it at night. Overall I would recomend this product for anyone who is looking to improve their cars night time appearance.